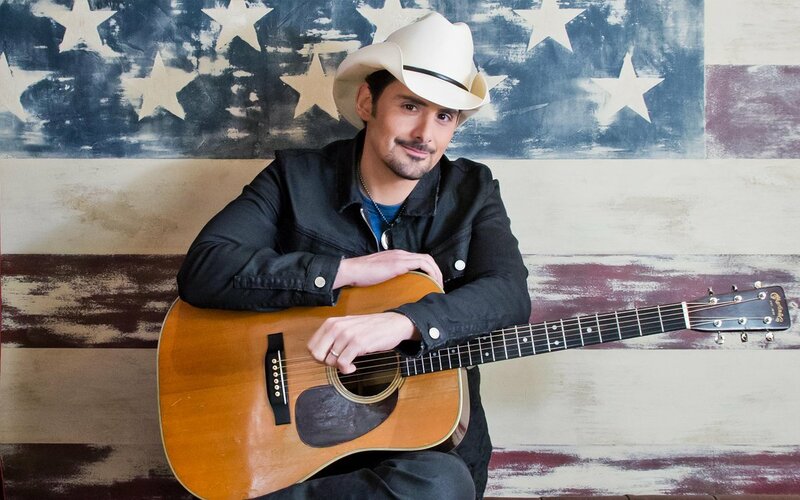 Brad Paisley seems to have been under the radar a little bit in the last few years, chart wise anyway. From a man who was once at the top of the charts and up for every award, a new generation seem to have taken over. 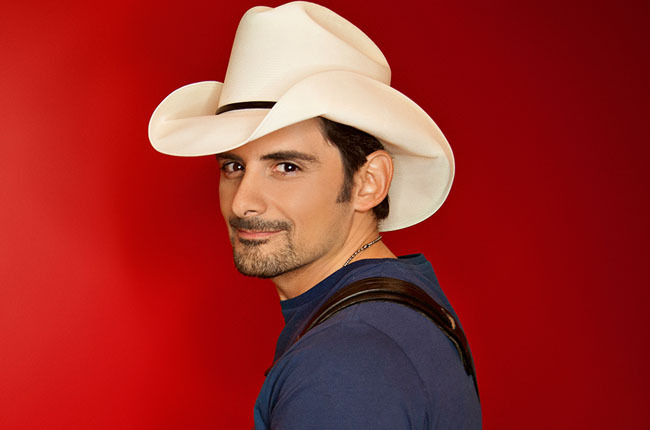 It shouldn’t be the case though as Brad Paisley is one of best male country music artists of all time. I was so glad that Brad headlined at this years C2C Festival. I was having a very tired moment and did not think that I would be able to stay awake for his performance and even contemplated going back to my hotel, that’s how tired I was. Alas, I stayed put and I am so very glad that I did. Brad has played the 02 Arena twice before this years festival, once before as part of C2C and once as part of his headline tour with Darius Rucker as his support, now that was a show! There is something very special about a Brad Paisley show, in fact there are many things that are special. Brad has the ability to make anyone a fan of his, even if it is just of his performance and not his music. This man is an entertainer and the very best at it. Not only is Brad a fantastic singer and a phenomenal guitar player but he is one of the funniest musicians to ever grace the 02 stage or perhaps any stage. It is obvious much Brad loves the UK and his British fans. He comes across so overwhelmed by his UK fans and the fact we make the effort to come out and see him. Well of course we come out to see him, he is Brad Paisley. Brad began his set with Crushin’ It. The stage was magnificent with an impressive video back drop which changed for each song. He sang, as always, most of his big time hits to please the audience and please us he did. Amongst those hits he treated us with This Is Country Music, American Saturday Night, Water, The Mona Lisa and he brought Chris Young back on stage to sing I’m Still A Guy which as always when Brad brings on a guest, was comical as well as wonderful and they always have a little bromance going on on stage. Brad and Chris went to take a selfie and after several failed attempts they succeeded to which Brad then changed the words to a line of the song to These Days There’s Dude’s Taking Selfies. Brad also brought out new artist Chase Bryant to play guitar during the song Ticks but the most show stopping moment for a lot of fans was when a member of Brad’s crew came on stage and handed him a phone. Mucking about, pretending to not know how to use it, the video backdrop suddenly turns to a face time call as Brad starts singing Remind Me. Now, any fan knows that Remind Me is a duet with the one and only Carrie Underwood. Carrie clearly wasn’t going to be there in person but what is the next best thing? Face Time calling…..
Well set up, Brad speaks to one of Carrie’s crew first as the phone takes us on a journey backstage at some venue where we eventually end up in Carrie’s dressing room right in time for her part of the song. The crowd screamed and everyone sang along, it was almost as good as actually having her there. Half way through the set we see Brad descend into the crowd to take to the stage at the back of arena known as The Yamaha Stage. He goes straight into one of my favourite songs, Then, which is beautifully emotive and wonderfully melodious. Back to the comedy parts of Brad’s show, he asks a girl by the Yamaha Stage to take a selfie. Then, in so many words he raises his disgust for people’s addictions with selfies and sings new song Ashamed Of Your Selfie. I wish I remembered the words but I know one line was something along the lines of snapping a selfie next to an open casket. Next up on the yamaha stage was Southern Comfort Zone before Brad returned via the crowd to get back to the main stage. The entire set was not only mesmerising but it was electrifying, energising, hilarious, fun and just everything and more. He ended the set with Alcohol which he often does but it is such a great song to end on that no one was complaining. I never tire of a Brad Paisley show. He is the best at what he does. I went away happy, lively and with a little bit of a spring in my step.